It’s a good year to be a proud Ram truck owner – almost as much as it is to be the actual manufacturer reaping the benefits of the brand’s success. In this era, Ram is riding high on a success wave with a string of hits such as the recent debut of its heavy-duty trucks at the 2019 Detroit Auto Show, a vote of confidence as Truck of the Year for the all-new 2019 Ram 1500 courtesy of Motor Trend, and a reinforcement of that vote of confidence after having the 1500 crowned as the North American Truck of the Year. Ram’s latest heavy-duty pickups reset the segment’s bar for torque as the Cummins turbo diesel engine-powered Ram models (2500 & 3500) are the first to offer 1,000 lb-ft of torque. 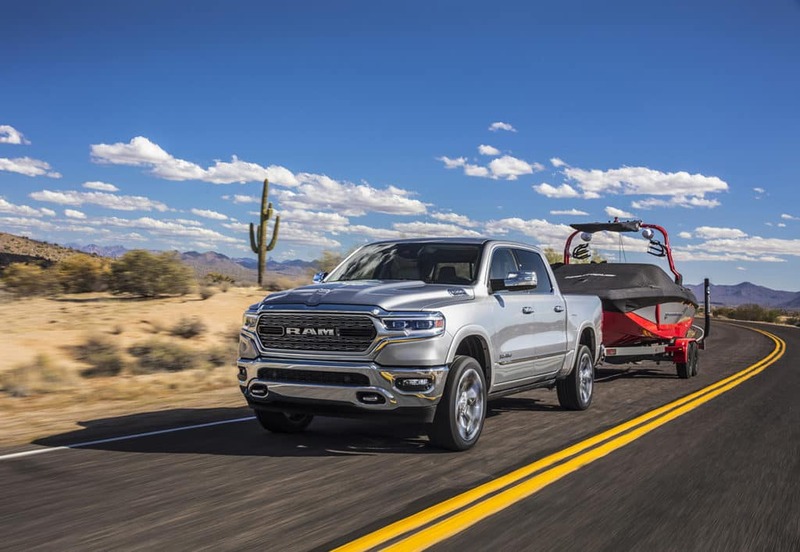 Ram pickups with the same powertrain offer 35,100 pounds of towing capability and a payload of 7,680 pounds as well – all three figures (including torque) top the heavy-duty segment. Head of the Ram brand in North America, Jim Morrison, recently sat down with reporters at the 2019 Detroit Auto Show to discuss the brand’s current streak of success and its plans for the future. Let’s see what he had to say. Ram is committed to innovation and continues to provide varied choices on powertrains for truck buyers. The brand’s eTorque system improves fuel economy for the fleet as a whole, while the brand offers owners various different engine pairings so they can get the most out of their Ram depending on their needs. The eTorque system uses a motor generator unit (replacing a traditional alternator) that’s attached to the engine and sends power to a battery pack that’s mounted in the rear of the cab, behind the seat bench. Enough electricity is generated that the pickup can easily handle increased demands while reducing the load on the gas engine. Power windows, power steering, anti-lock brakes, air conditioning, large touchscreens, and other functions run without depending on power from an overworked alternator that’s no longer necessary. Unlike traditional hybrid systems that have the ability to operate a car on electricity for short distances, the eTorque system’s purpose is to reduce the demands on the engine while making the pickup more fuel efficient. Ram is the first major manufacturer to make a mass effort in selling a somewhat electrified pickup – other crosstown rivals like Chevrolet and GMC have offered hybrid variants in the past but in limited quantities only. Morrison revealed that Ram is well aware that some consumers buy Ram trucks because of their design, while others seek that next level of payload or towing that they may need. Regardless of individual needs, the brand is committed to innovation in order to be able to cater to all interests. As for enticing the newer generations, it’s apparent that the brand is not worried about the waning interest in pickups like some other brands allege. Morrison mentioned that the next generation of truck buyers is engaged in what the pickup market looks like, even if they’re buying 10- or 5-year-old trucks. Citing research, Morrison said their interest largely lies in modifying their trucks. Ram is counting on the overall appeal of the truck segment to get the younger generation to pay attention to them. Morrison also mentioned that back in the day owning a pickup was costly and might’ve been out of reach for younger buyers, but nowadays trucks have more or less the same operating costs of a sedan thanks to technology and stable gas prices. No longer is there a need to compromise. Don’t just take it from us, experience the all-new 2019 Ram 1500 for yourself here at University Dodge. 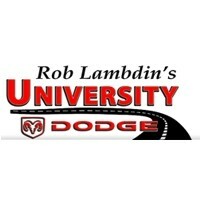 Browse the extensive Ram 1500 inventory and schedule your test drive today! If you’re looking for something a little more heavy-duty oriented, follow us on University Dodge social media to be the first to know when the all-new 2500 HD and 3500 HD pickups arrive on our lot.